Growing up I was never really fond of coleslaw and I'm not sure why because these days I can't get enough of it! 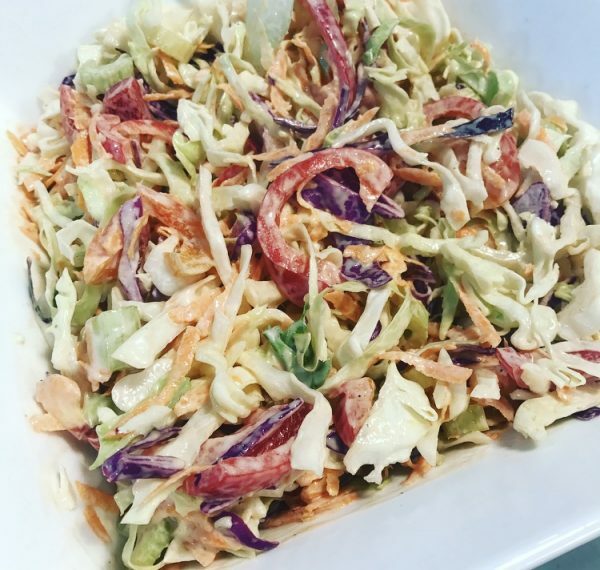 I have no idea where this recipe came from but I can tell you it is the best coleslaw you will ever try! I like to serve it as a side salad when having a BBQ or have it on top of baked potatoes. And it accompanies slow cooked pulled pork wraps brilliantly! 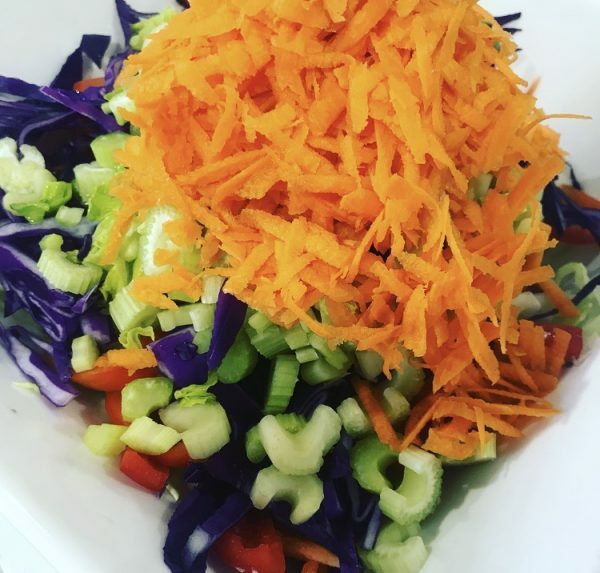 Combine red and green cabbage in a bowl with, capsicum, carrots and celery stalks. Add mustard, mayonnaise and salt and pepper to taste. 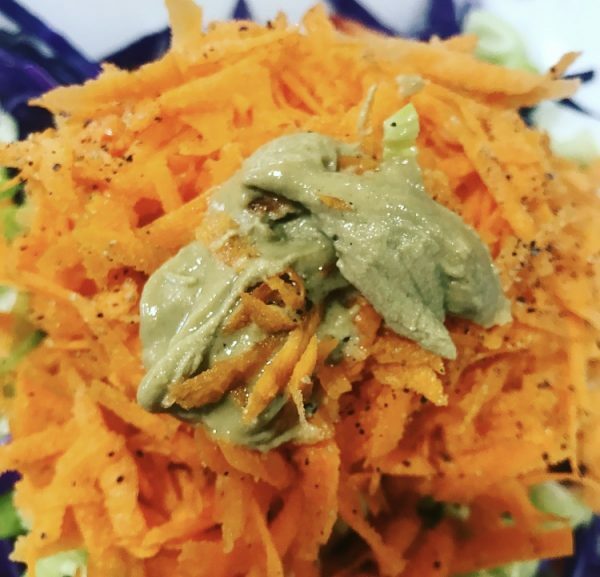 This entry was posted in Blog, Recipes and tagged Organic Coleslaw.